Kosher Oreos: Can Nabisco lick its opposition – J. NEW YORK (JTA) — Should you eat it as a sandwich, or break it apart and eat the cookie after licking off the cream? Kosher-observant Jews will now face that classic American dilemma with the historic kashering of the Oreo, billed by maker Nabisco as America's favorite cookie. It's all part of a move by the Nabisco Biscuit Co. to make kosher dozens of its cookie and snack products. Nabisco has quietly signed a contract with the Orthodox Union, the international kosher certification group, to supervise the kosher production of such longtime company staples as Chips Ahoy, Barnum's Animal Crackers, Fig Newtons, Social Tea Biscuits and Honey Maid Grahams. Ritz items except for Ritz Bits sandwiches will be kosher, and eventually the premium Saltine crackers will be. "We're working on it," said Nabisco quality control specialist Kevin Murphy. While thousands of products from major snack makers such as M&M Mars, Frito Lay and Hershey's have been made kosher over the last several years, Nabisco appears to be the last giant corporation to make such a significant investment. "This means a great majority of cookies on the shelves are now kosher," said Rabbi Eliyahu Safran, the senior rabbinic coordinator for the Orthodox Union. And for thousands of Jewish kids who grew up in the '50s and '60s not being able to eat Oreos, that most American of snacks, the Nabisco announcement marks a symbolic shift in American attitudes toward accommodation to Jewish religious observance. "While I'm not Jewish, I can't imagine growing up in America not being able to eat an Oreo cookie," Murphy said. Also being made under new kosher specifications are about 10 items from Nabisco's Snackwell reduced-fat line. Some of Nabisco's new kosher products, designated with the classic OU label, already have begun to arrive on store shelves, Murphy said this week. As the company retools its packages to include the OU certification, it will introduce more items. An official launch is expected in March. An internal Nabisco newsletter in October hailed the contract signing between the corporate baker and the OU. "Nabisco Biscuit's wide [product] line had to be looked at cookie by cookie, cracker by cracker," the newsletter said. "As a result, most Nabisco cookies, many crackers and all NBC bakeries are now kosher." The newsletter explained kosher as "meeting all Jewish religious dietary rules as set forth in the Torah." It said that "a popular misconception has it that kosher certification involves a simple blessing — but the actual process is quite complicated." But many of Nabisco's most popular cookies and crackers will remain non-kosher, notably products containing cheese or cookies with marshmallow such as Mallomars, a company official explained. Nabisco's efforts to kosher its line and tap into the fast-growing kosher food industry — now estimated at $3.25 billion a year — are nearly seven years in the making, with research beginning in 1991. It took so long to finalize the project because the company sought to kosher cost-effectively the baking process at its 12 plants nationwide, Murphy said. Perhaps the most significant step came in 1992 with the removal of lard from the company's baked products, replacing it with vegetable oil. Murphy said the switch was made not only for kosher purposes but also for health reasons as American consumers sought products with lower cholesterol. The company slowly eliminated all its non-kosher ingredients, making sure not to sacrifice taste, and changed its production policies to adhere to OU's standards. "We had to make sure all ingredients were kosher-approved," said Murphy, who confided he knew little about kosher law before he began working closely with the OU's rabbis. He said these days most ingredients available in the food industry are kosher. Nabisco also had to change its processing, making sure the products did not come into contact with non-kosher items anywhere on the production line. OU officials praised Nabisco for its cooperation. "They were extremely meticulous and responsive to every facet of our kosher standards and requirements, and have now incorporated the OU kosher policy standards into their corporate policy," said Safran, the senior rabbinic coordinator. Nabisco even agreed to keep records about the separation of pans and equipment in the production process, Safran said. Rabbi Menachem Genack, the OU's rabbinic administrator, advised kosher observers to carefully inspect Nabisco products over the next few weeks as the kosher-certified products begin to appear in the stores. Murphy said each Nabisco plant will have a local rabbi who makes monthly supervision visits. He could not say how much it has cost the company to change ingredients, alter time-honored processes and procedures and kosher its huge ovens. But he says he has learned a "bunch" from the experience. 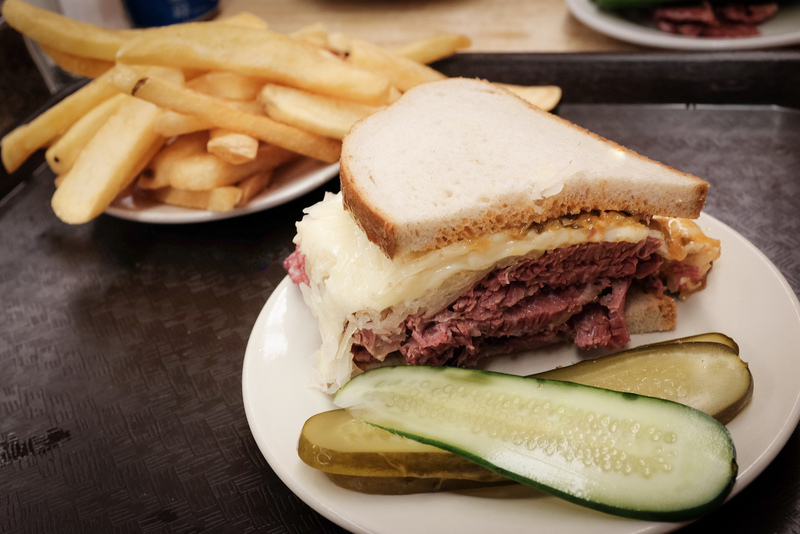 "I never understood Jewish dietary customs about meat and dairy being separated at meals," he said. "I always thought rabbis made something kosher by just doing some kind of blessing. "I learned it's a much more technical and spiritual thing…I was really impressed with the depth of knowledge of the rabbis about the food industry."